Specializing in Taiwanese dishes, Ersao Taiwanese Restaurant is also known for its delicious dumplings, milk tea and affordable meals. It's been one of the place where students have their meals and order their favorite beverages. So what are the dishes Ersao has to offer? 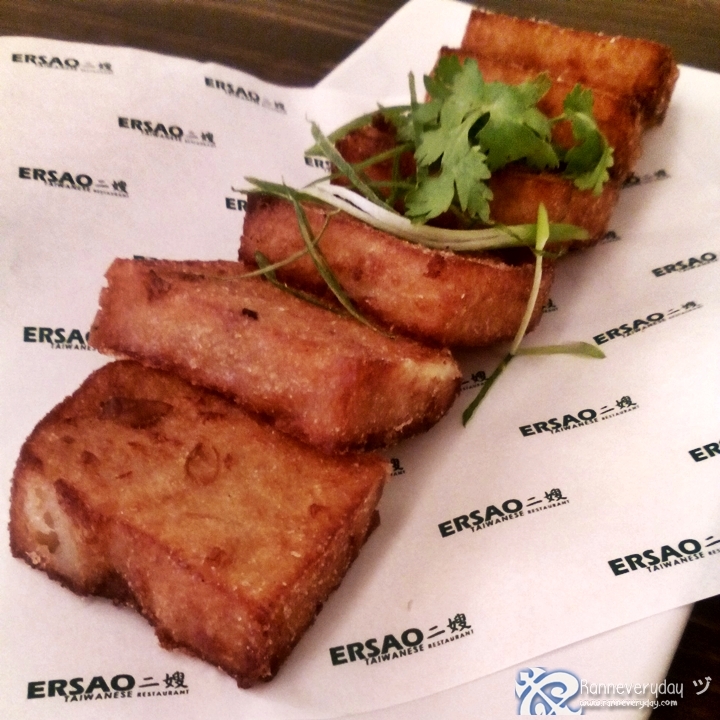 Ersao has been in the industry for more than 12 years and they are considered as one of the first to introduce milk tea to Filipinos. 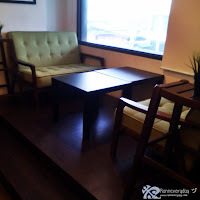 Their branch here at Banawe, Quezon City is a 2-storey building with a very relaxing ambiance. 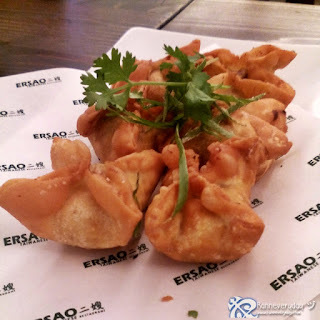 Fried Wanton (Php 65.00) - Very crispy wanton which you can avail of either fried or steamed. 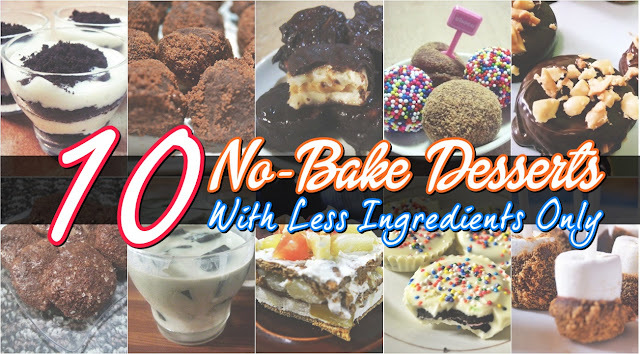 Available in 6 pcs per plate. Dumplings (Php 65.00) - One of their delicious Taiwanese snack is their dumplings which is available in pork and seafood with fresh finely chopped shallots inside. It is available in 5 pcs per plate. Radish Cake (Php 70.00) - Any Chinese or Taiwanese restaurant wouldn't be complete without offering this simple yet sumptuous snack. 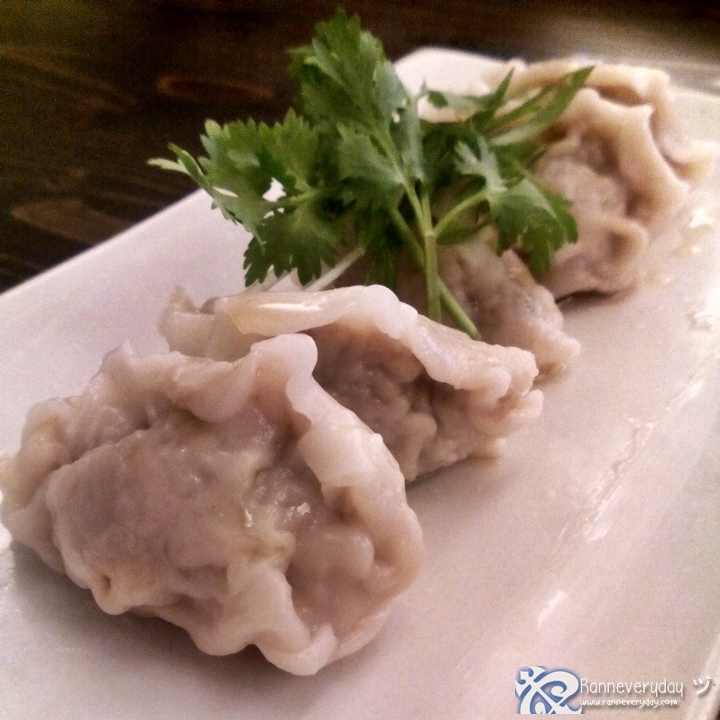 Very crispy on the outside and soft on the inside, perfect to enjoy with their garlic sauce. Chicken Steak (Php 110.00) - Crunchy sliced chicken steak seasoned with pepper. 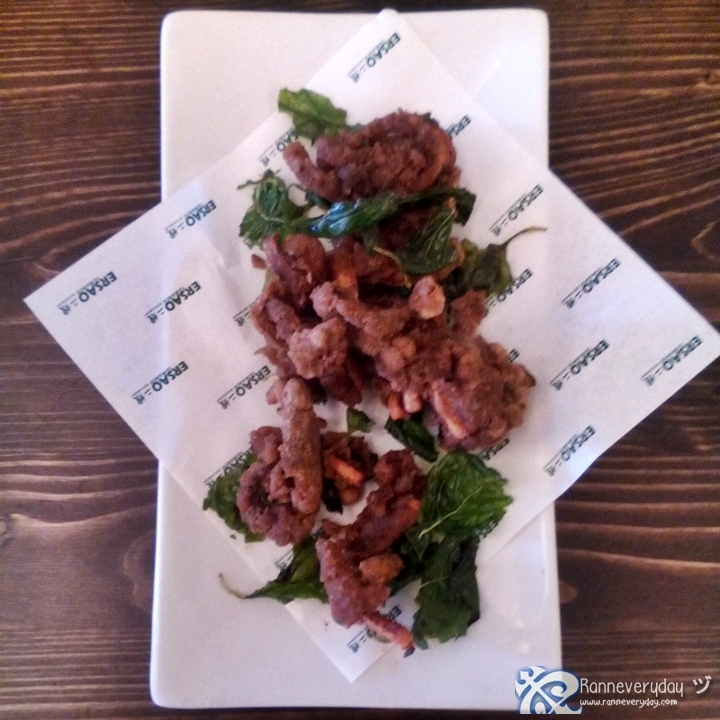 Spicy Squid (Php 75.00) - One of the favorite fried snack here at Ersao is this deep-fried squid coated with spicy batter. 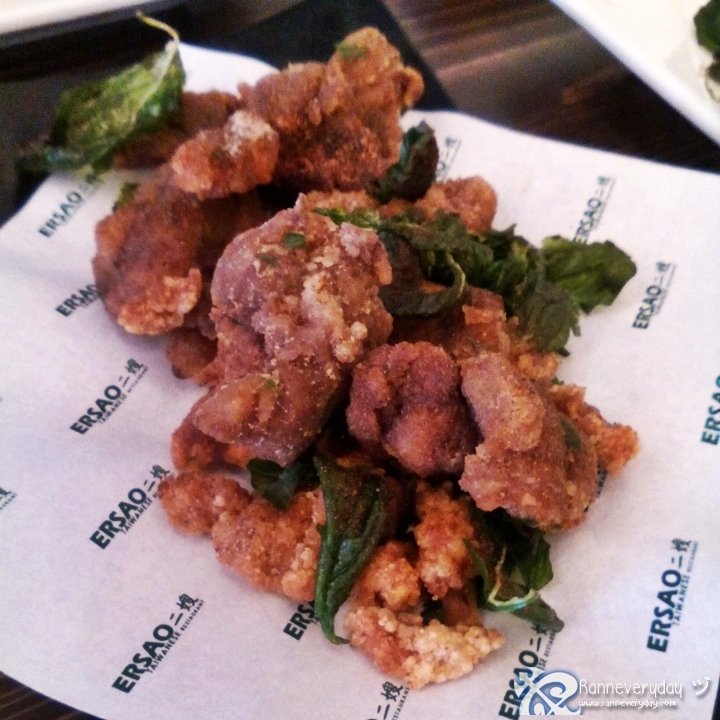 Spicy Chicken (Php 75.00) - This crown favorite and Ersao's best-selling appetizer is really delicious. It's flavor comes out as you chew it more. Of course spicy food enthusiasts will surely love this dish. 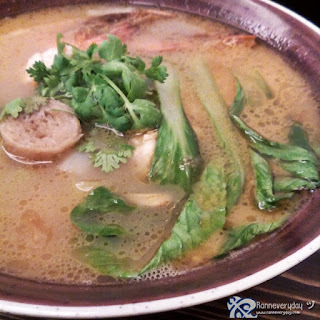 Seafood Noodles (Small - Php 140.00/ Large - Php 210.00) - Topped with fresh seafood, this noodles dish comes with very thick noodles and flavorful sauce. 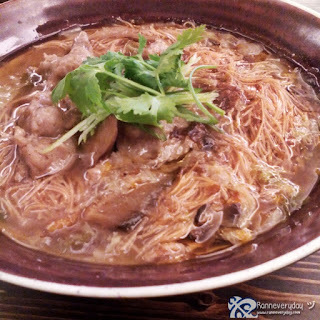 Maki Mishua (Small - Php 140.00/ Large - Php 180.00) - Combined with very thin mishua noodles, enjoy this noodle dish with chunks of meat and slices of mushroom. A dish perfect for sharing. 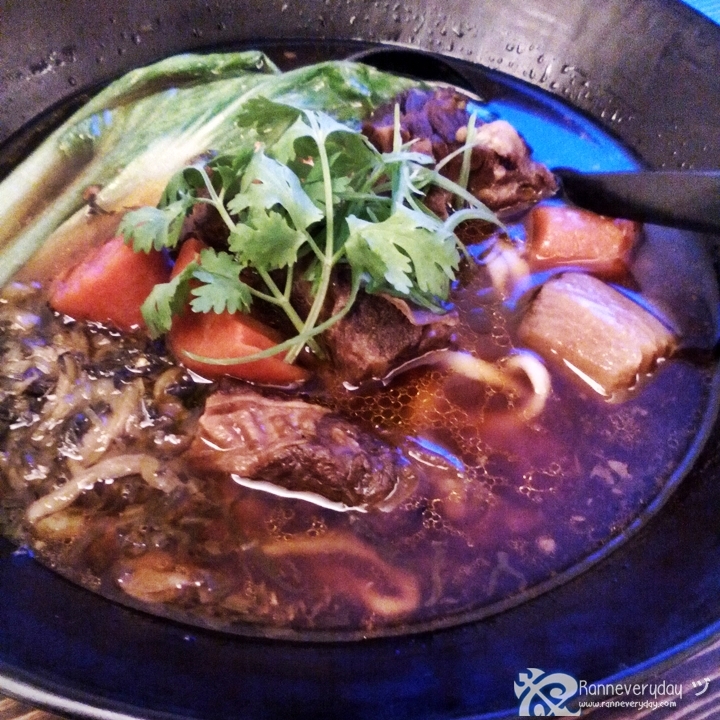 Signature Beef Noodles (Php 280.00) - This is Ersao's best-selling noodle dish. 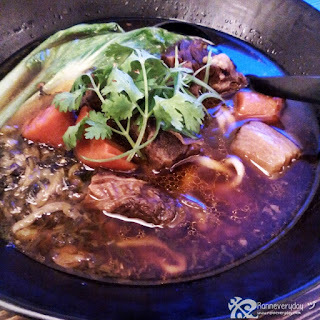 Topped with chinks of beef and vegetables, this spicy beef noodles is perfect to eat on the rainy days because of its rich spicy flavor. 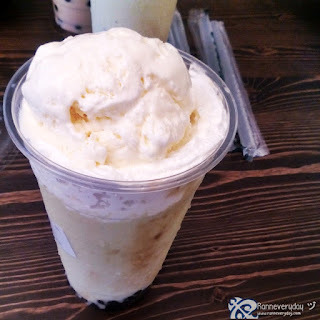 Avocado Float (Php 125.00) - Fresh avocado shake topped with whipped cream and vanilla ice cream, you wouldn't regret ordering this fresh fruit shake because of its perfect blend of sweetness. Ersao as we all know is also famous for its affordable prices of dishes and also their best-selling milk tea flavors. 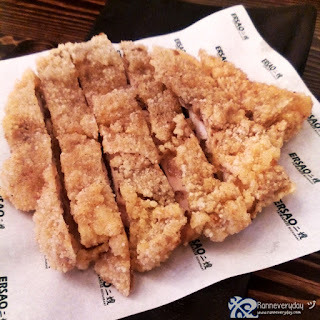 Their ingredients are straight from Taiwan, freshly packed and sealed with their commissary here in the Philippines. 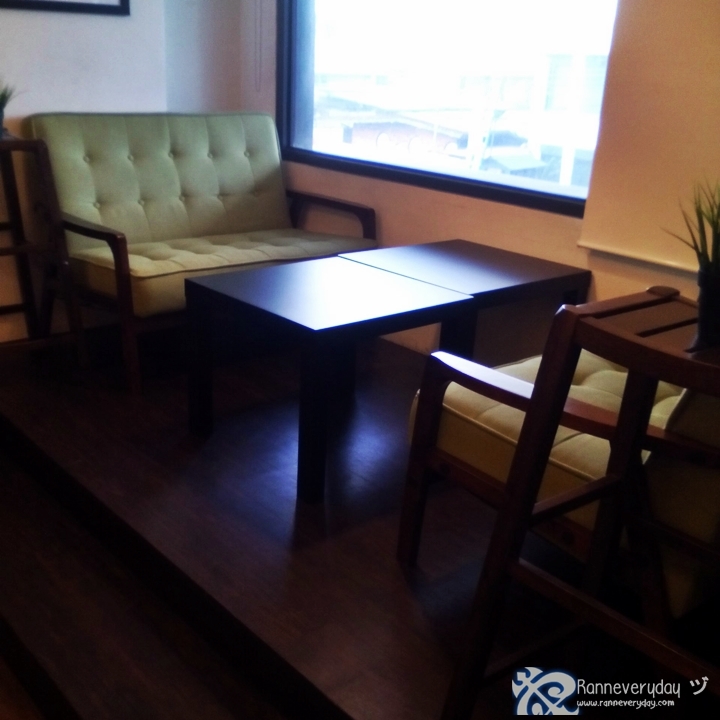 Ersao also have other branches here in Manila and in Cebu. 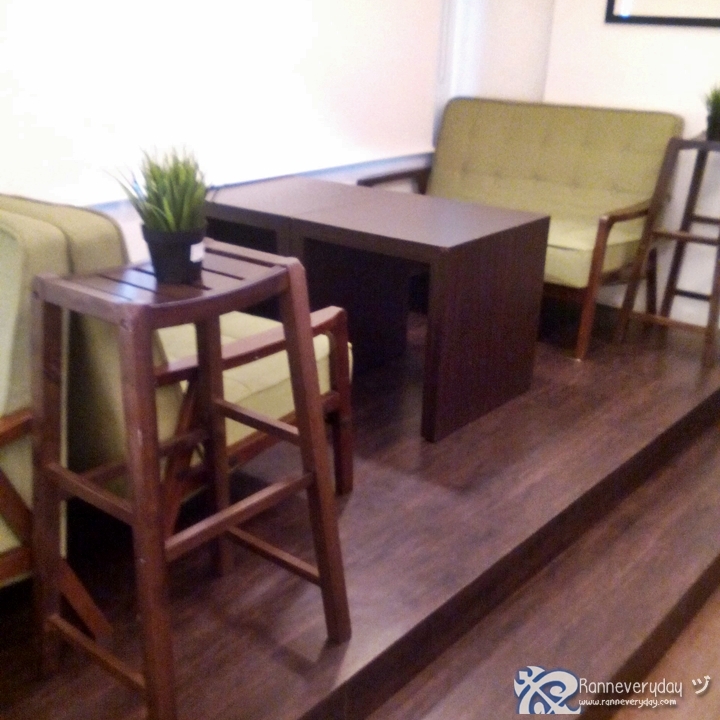 If you are planning to have a business, Ersao is available for franchising of either restaurant type or kiosk type. You can also buy dimsum from them as they also sell frozen good. 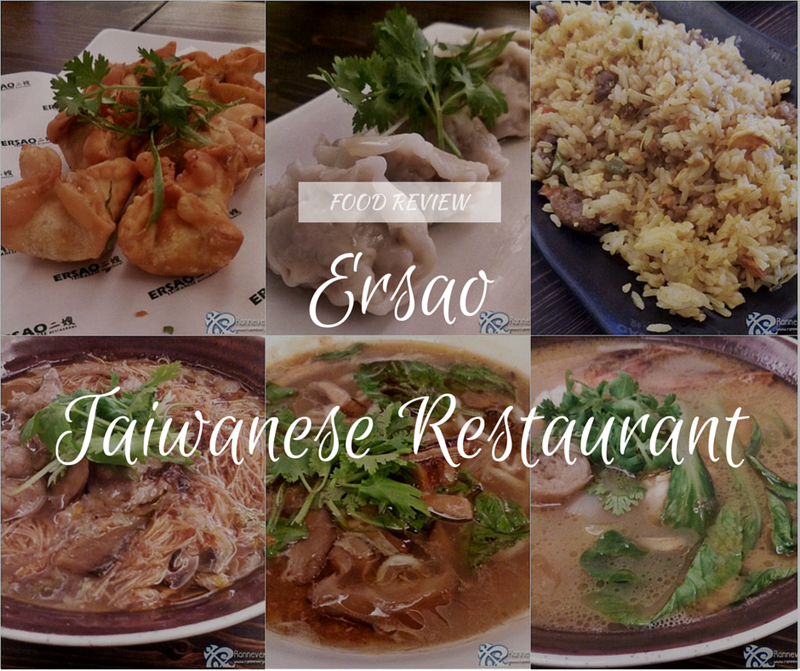 For an affordable Taiwanese dishes with very delectable tea beverages, Ersao Taiwanese Restaurant is a must-try. 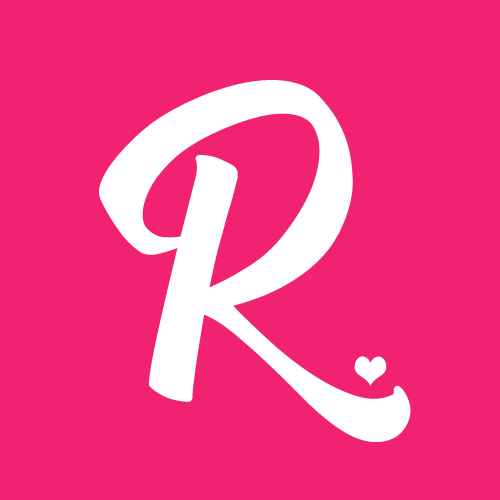 Looking for a refreshing milk tea? Have a taste of Ersao's wide variety of Milk tea flavors today!